My Ordo Xenos Inquisitor, which you may have seen in a recent post, is going to need a pimpin' ride. 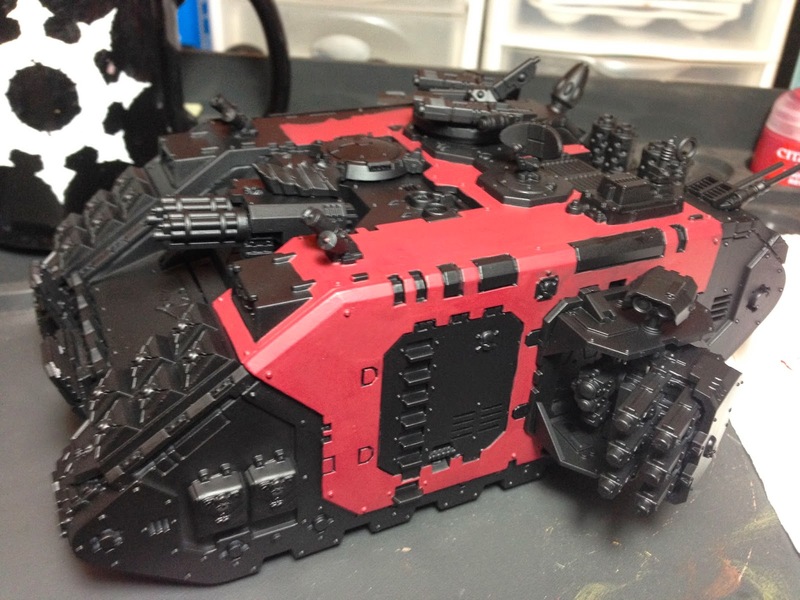 I decided to go with a Land Raider Crusader since it has 16 seats and this will let me field a large Inquisitorial Death Star. I thought it would be nice to give the Land Raider some various xenos trophies. 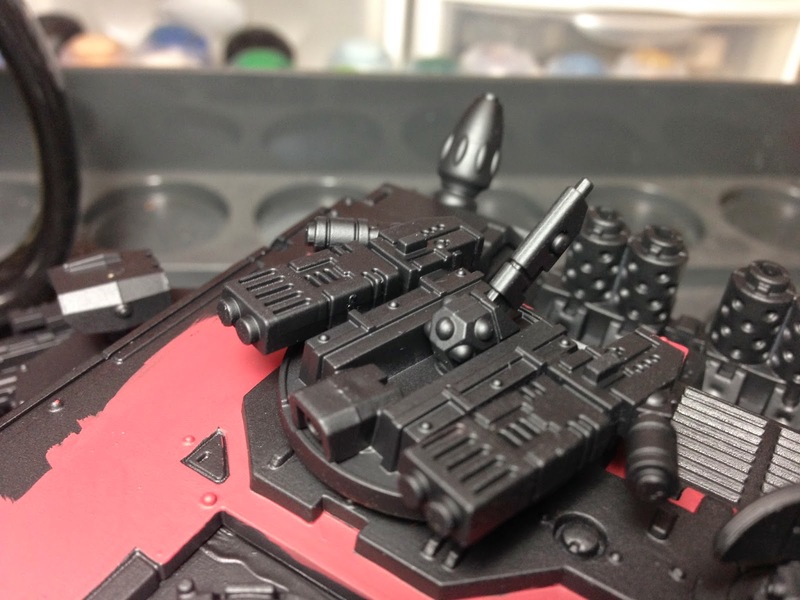 The Assault Cannon has a little extra Tyranid Armour. The boarding ramp has been upgraded with an Ork ram. The Multi-melta must have malfunctioned at some point, because it's been replaced by a jazzed up Tau Fusion Blaster array. Lastly, the Machine Spirit has been upgraded with an Eldar Spirit Stone array. You should be able to pick the various upgrades out in the below pictures. I also started base coating the armour. 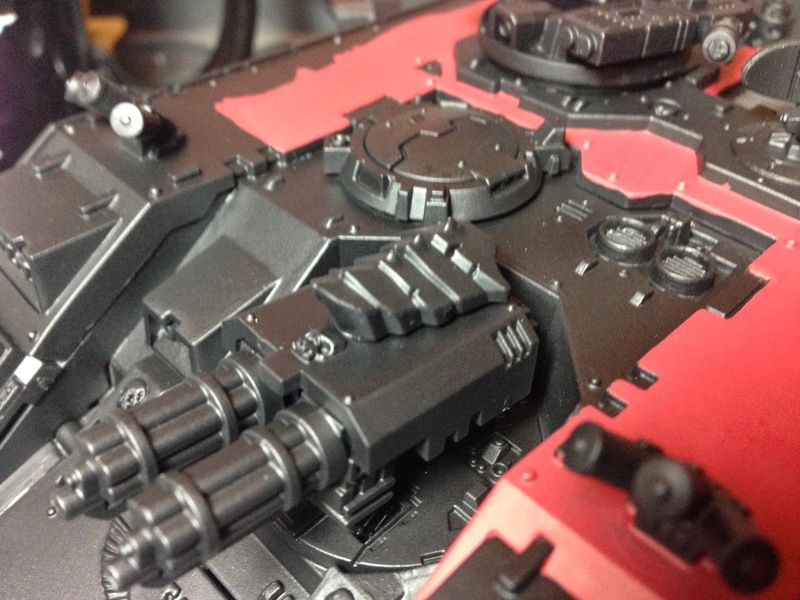 I'm going to pain the armour in the vivid Blood Angel style red. Currently, I've been able to put most of the base coat Khorne Red down. Mephiston will go on top with a line highlight of Squig Orange. I'm not sure what I'm going to do for the other areas, but I'm currently thinking of doing a medium grey and then ivory doors. 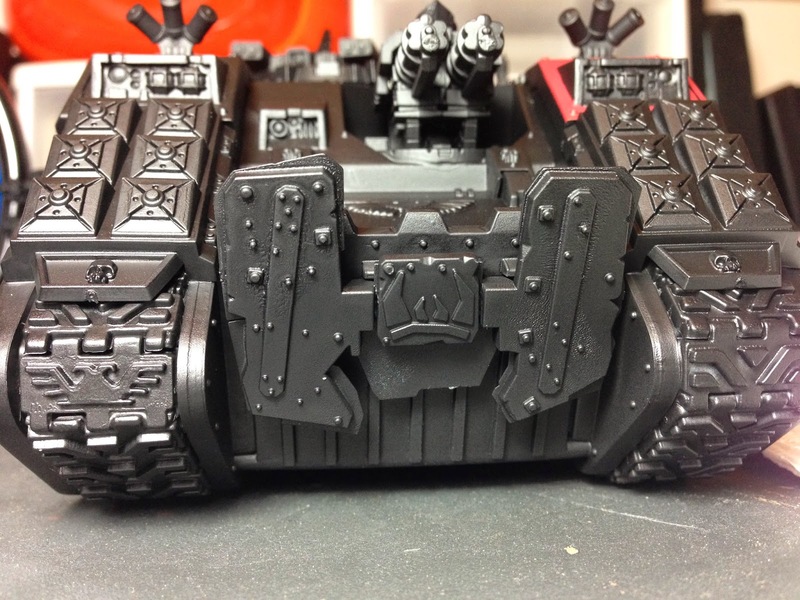 That way, the transport will match the Inquisitor's color palette. This is going to take forever, because I want to make this look really nice. The plan is to make this into my "showcase" army. My Tau army gets a lot of positive feedback, but it's a very quick and easy paint scheme. I want this army to really push my skills and patience.